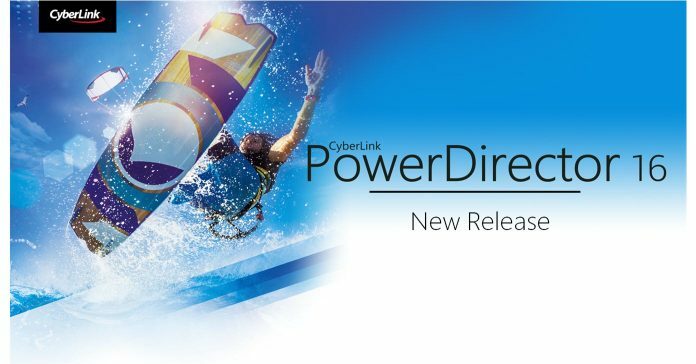 Well the big news this week is that CyberLink have released their annual version update of their video editing software suite, PowerDirector. This now takes us to PowerDirector 16 which is pretty logical because the last one was 15! Given the fact that PowerDirector 16 comes in a number of configurations depending on how many bells and whistles you may want… or actually need, they have also updated a few other associated programs. This update from a quick overview looks to be a “features added” update rather than any kind of radical rewrite of the base programs in question. If you already have PowerDirector in some form and are interested in whether or not to update, the new features are listed below so you can make up your own mind. If you are interested in taking a look at PowerDirector , my existing review is HERE which will hopefully be updated soon! From time to time the guys at Premium Beat offer a freebie or two and, woohoo, the time is now. The link below goes to their site and on that page you can download a bunch of free explosion sound effects and VFX elements. Also on the page they have linked to a few other freebie offers from the past as well as adding links to their sign up page and some paid ones… cheeky! Anyway the top one is a straight out free offer and some of the others are as well so you can just pick your way through to collect all the free ones. If you have read a few of my weekly blog posts or the series I posted on this site covering How to Choose Video Editing Software, you would be aware of my attitude towards transitions. For most new editors transitions look to be an easy drag’n’drop solution for moving from one clip on the timeline to the next. In fact that’s what a transition is but at that point things start to go seriously off track. Most video editing software comes with a huge library of adjustable, pre-packaged transitions that swipe and swirl and wipe and do all sorts of things. These are presented to the potential buyer as a “must have” feature that will take you to cinematic success in no time at all and with little or no effort on your part! Strangely if you go to the top of the video editing food chain, transitions as a feature almost completely disappear! The reason for that is that any decent professional editor would not be caught dead using a “canned” transition because they know that there is nothing that screams “amateur” louder than a canned transition. For the most part they use just straight cuts from one shot to the next. Occasionally they throw in a cross-fade or dissolve to break things up. Even more rarely they they will fade through black and very, very rarely they may even do a straight wipe… and that about it. The one other common transition they use in one that most people don’t even see as a transition and in that one the create the transition by using masks out of the end of the first clip and the beginning of the second. So if you really want to lift your videos up a notch or three then check out the article linked below which offers a comprehensive resource on different ways of creating and using transitions. This week Filmora published two new videos on the subject of resizing videos both from a file size and resolution point of view as well as strategies for removing black bars. The black bars they are referring to are the ones you sometimes see when a video in one resolution has been uploaded to YouTube and does not match the native resolution of YouTube videos. You may also see them when you add a standard resolution video to a HD resolution project. All of this applies to any video editing software and is a subject worth understanding. It is very easy to get lulled into the idea that in modern video editing software you can just do anything you want by simply point and clicking or hitting the relevant “Fix this” button! Personally I blame the marketing but that’s another rant for another time! The videos go over removing black bars and changing things around and all of that is fine but there are a few things they don’t mention that you should be aware of as an editor. First of all let’s talk resolution. At the moment there is no way to raise the resolution of video full stop. Video editing software cannot make something out of nothing so it can’t somehow “find” or “create” extra lines of resolution that do not exist. You cannot take standard definition up to high definition and get any sort of quality that you would recognize as high definition. Similarly if you crop a video, or isolate a section of it and then blow that up to the full size of the frame you will lose quality… dramatically. Other than that the videos are pretty self explanatory. One video shooting subject that has its roots planted very firmly in the world of photography is that of composition and connected to that is also framing. There are mountains of videos and website articles on the subject but as a subject it suffers very greatly from the “there are no rules” problem. The truth is that the rules of composition are finite and known and this also applies to framing. The trick here is that when you break the rules, that break has to be based on an understanding of the rule being broken in the first place, for it to be effective. So rather than bang on endlessly about this I came across a great article this week on the subject of composition with some good explanations in video of how it all gets applied. I get a question on this pretty much every week and it remains a point of confusion to this day. When you open any video editor you automatically start a new PROJECT, whether you like it or not it’s just what they do! You then start adding your assets to the timeline and making your editing decisions with the ultimate goal of creating a FINAL VIDEO FILE. These decisions are recorded in the form of a PROJECT files which is usually a proprietary type of file depending on the software you are using and only that software can read it or open it.. If at any time you hit the “Save” button in any video editing software, you will be saving changes to the PROJECT file, not the the FINAL VIDEO FILE. In this way you can save and close your project then come back to it later. If you want to make your FINAL VIDEO FILE you have to go to a specific point in the editing program to render that file. All of these are user friendly terms used in editing software to describe rendering a project to a new final video file. Speaking of transitions which I think I mentioned somewhere else on this week’s post here is a great tutorial on using the morph transition in Pinnacle Studio and is exactly what I am talking about when I rant on about canned transitions. The new Morph transition in Pinnacle is an excellent tool to create your own transition that looks like no other and has an almost zero “cheesy” factor! Of course in the hands of an idiot any editing tool can be used to create an intolerable “cheesy” factor but i am assuming you are not an idiot. This video is pretty simple and covers some pretty basic mistakes most people fall into when they start out in the world of video editing. What is most interesting about it is that if you click through to the actual video on YouTube there are a bunch of comments on there from people giving their own tips on the mistakes they made. By far the most common tip that people provide is that of getting organized. I cover the subject myself in the Free Editing Tips Report but it really bears repeating loud and often. I have spent time with professional cinematographers, directors and editors and believe me, when it comes time to start the editing process they all did one thing in common. The very first thing that happens is that all media assets regardless of whether they are video, audio or still image get renamed so that each clip is easily identifiable. Then everything is organised into folders depending on where they occur or in what sequence they will be used and it is not until this step is absolutely done that any actual editing occurs.